The Attorney General’s Office wants details about a settlement agreement that assigned Southern California ratepayers to cover $3.3 billion in shutdown costs for the San Onofre nuclear plant, which closed on an emergency basis in January 2012 after Edison installed faulty replacement steam generators that caused a radiation leak. According to documents obtained by The San Diego Union-Tribune, investigators executed a warrant at the commission offices on June 5, seeking “any and all records” pertaining to the San Onofre settlement between the day of the leak — Jan. 31, 2012 — and January 2015. They also requested records of any communications about the commission’s internal investigation of the San Onofre closure and any correspondence regulators had with two consumer groups that negotiated the settlement with Edison. “With respect to the categories of documents specified in the search warrant, CPUC will search for, review and produce responsive documents,” the warrant orders. 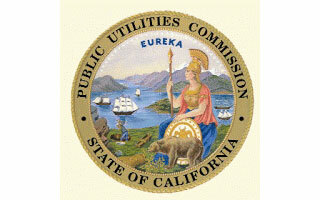 It was not the first search warrant served on the commission, a quasi-judicial agency charged with ensuring “just and reasonable” utility rates for tens of millions of Californians. Continue reading on the San Diego Union-Tribune website and see the search warrants themselves » The Union-Tribune limits free pageviews per month.